Wishing all the daddy's a happy daddy's day. Anyone can father a baby. It takes two to have a beautiful child, a gift from God. But it really does take a special human, a true dad, a real man to raise and guide a child. 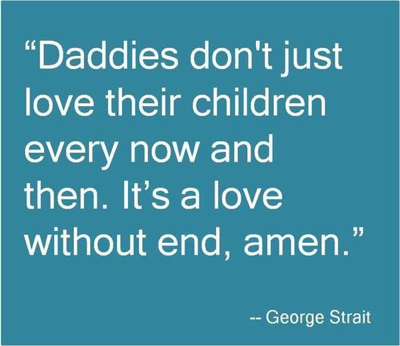 Wishing all of the daddy's a blessed day. May you continue to be the rock of your family, the guide and protector of your children.